They’ve been very popular and real conversation starters. Within a few days of opening, a local farmer approached me and said that he believed they could be from a farm in Brooklin, Ontario that he believed was demolished to make way for a new subdivision and the 407 highway. 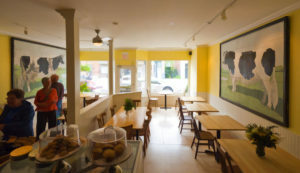 Since then several customers have recognized the paintings and indeed its been confirmed that they were originally hung on the barn exterior of Roybrook Farms in Brooklin, owned by renowned Holstein breeder Roy Ormiston . Indeed the first gent to shed some light on their provenance brought me a copy of ‘The Chosen Breed’ which holds plenty of information on Roy Ormiston and his cows including his legendary ‘white cow’. Russell (Russ) Short graduated from the University of Toronto School of Pharmacy and his first place of employment was with Jury and Lovell in Oshawa. In the late 40’s he moved to Toronto to work for Hoopers Drug Store at Bloor and Sherbourne where he partnered with Bill Burgess, son of the owner. 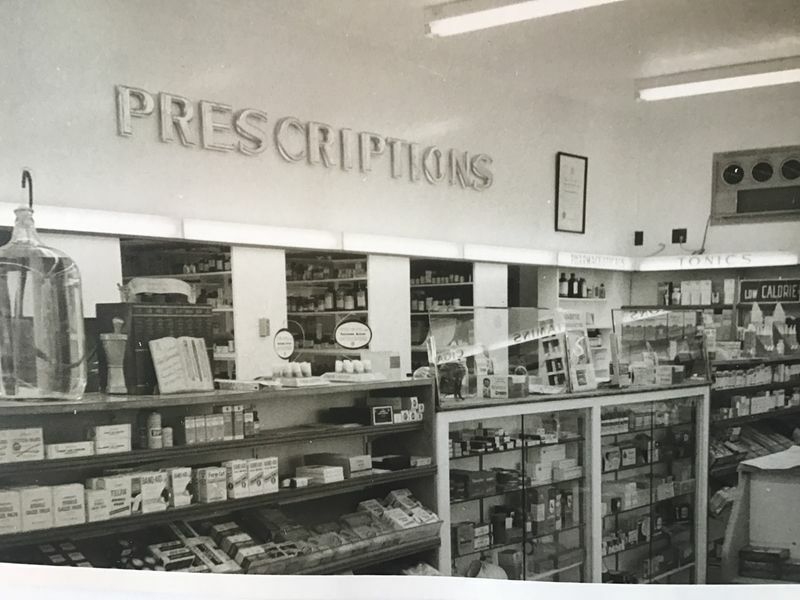 1950’s saw the introduction of discount retail making retailing by the smaller service providers more challenging, so Russ made the decision to relocate to a town that could support a Pharmacy. 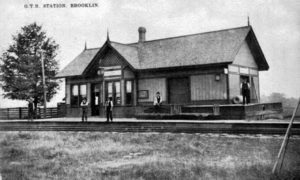 This was at a time when Brooklin was growing with a new residential subdivision and the community supported a medical centre as well as doctors offices. 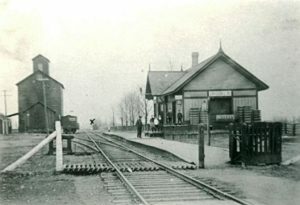 Russ purchased 65 Baldwin Street and moved with his wife Bernice and sons Bob, Jim and Gary to Queen Street in Brooklin. 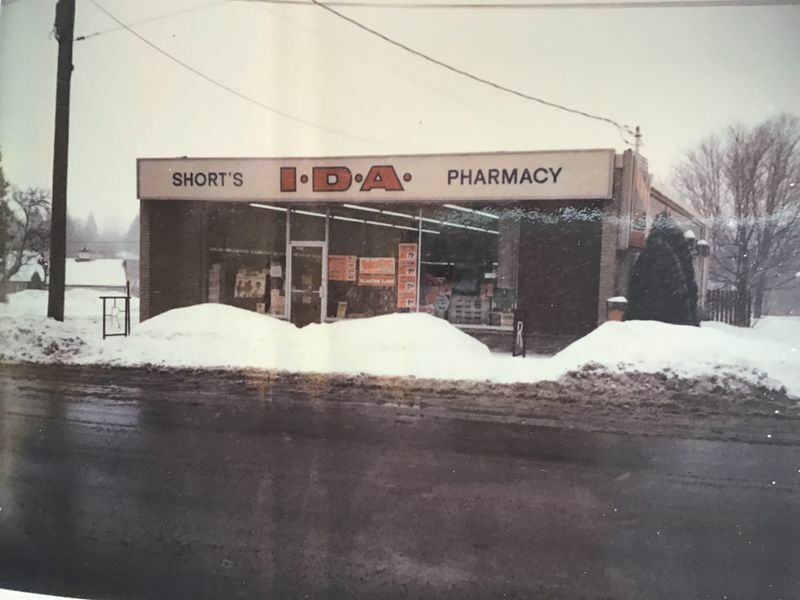 Construction of Short’s Pharmacy commenced in 1959 with the grand opening in May 1960. Brooklin’s first Pharmacy! The family then purchased a home on North Street. 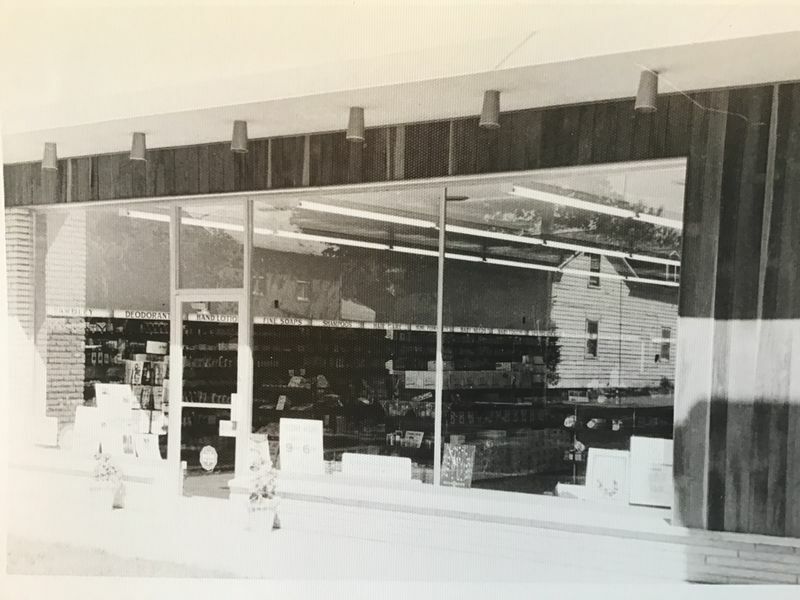 In the early days the store was open 7 days a week with extended hours on Mondays, Tuesdays and Fridays. ( 9 to 9 ) and new jobs were brought into the village when Russ employed locals. The pharmacy served an area well beyond Brooklin, as flyers were regularly distributed to residents as far as Locust Hill in the west, Hampton to the east and Greenbank to the north. In 1971 Russ was joined by Bill Burgess who re-located from Toronto to live in Ashburn. In 1980 Russ suffered a stroke and was not able to return to the Pharmacy. His partner Bill Burgess continued on with the business, and at his retirement, Bill’s daughter Peggy Frankovich took over. Russ passed away in 1984 and is buried in his home town of Bowmanville.